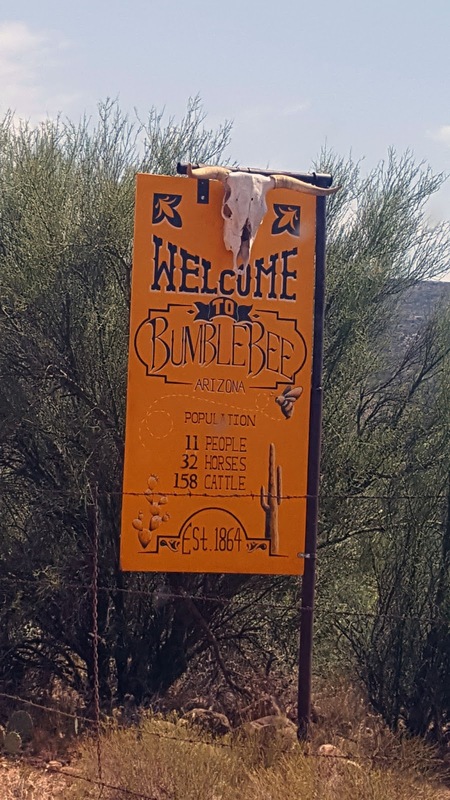 Hidden in the Bradshaw Mountains and 55 miles north of Phoenix on Interstate 17, sits the teeny tiny establishment known as Bumble Bee. It was founded in 1863 as a stagecoach stop and location for the U.S. Cavalry. In 1879 a post office was built. 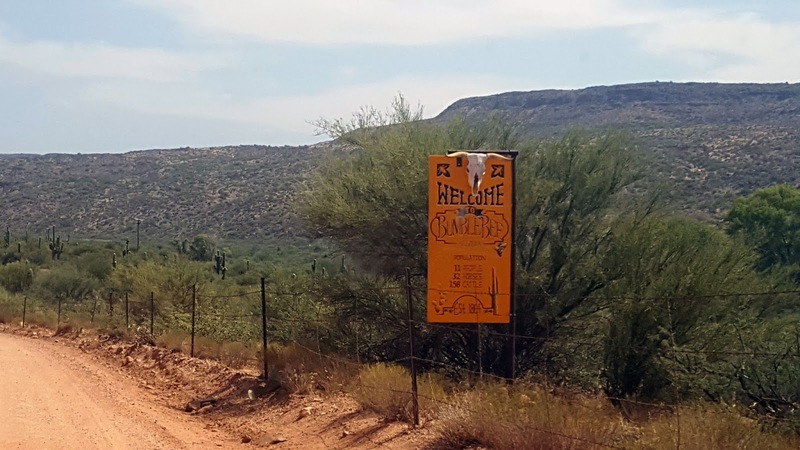 The town got its name from the visitors passing through who claimed that the Indians around the locale were "thick as bumblebees". When the mining dried up in the area and the stagecoach stopped running through the town, Bumble Bee became a ghost town. In order to renew interest in the settlement in the mid-30's, Jeff Martin built several structures. That didn't really spark interest, so in 1960 Charles A. Penn, a retired magazine publisher, bought the property and created a museum hoping for many to want to visit. Sadly, Penn never got to see his dream happen. He died before it was finished turning his property back to private ownership. Today, almost all the small buildings are gone and only a handful of houses remain along with an old schoolhouse. It kind of reminds me of the faux town of Perfection in the movie Tremors but without Walter Chang's general store and graboids (at least I hope so).